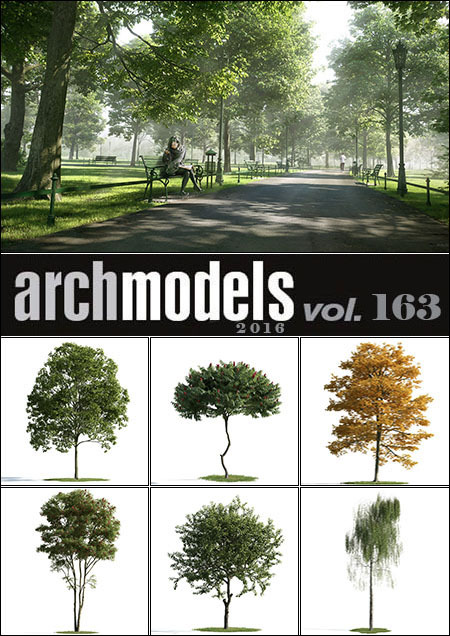 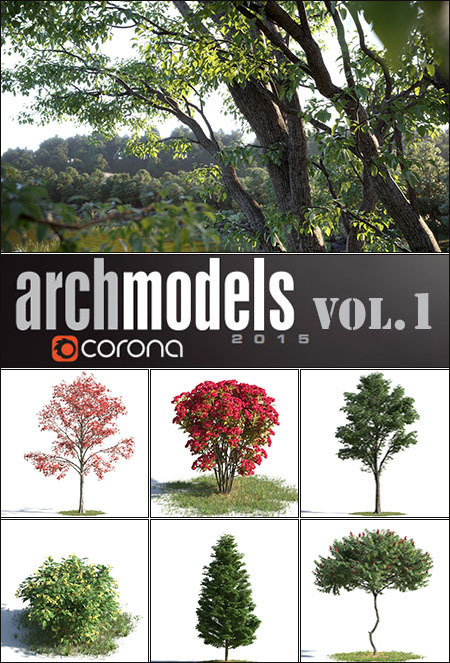 This library contains 3D tree models of 20 species from across Asia. 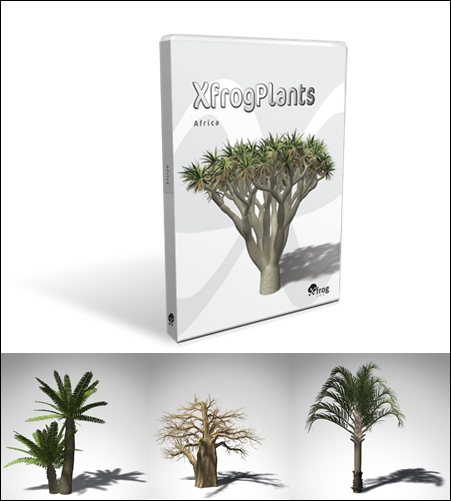 Each species includes 9 variations of the plant for a total of 180 highly detailed, fully textured 3D models. 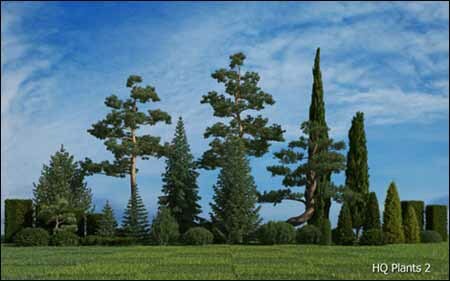 This set of ages is required for generating ecosystems and gives enough variation for instancing the models across a virtual terrain. 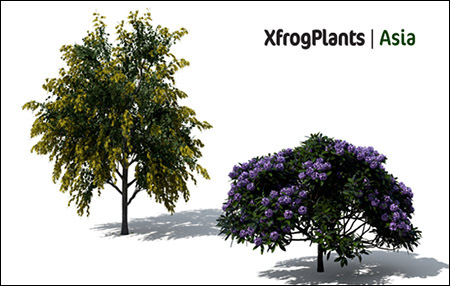 Use XfrogPlants Asia to create stunning virtual mangrove swamps, bamboo fields tropical rainforests and more! 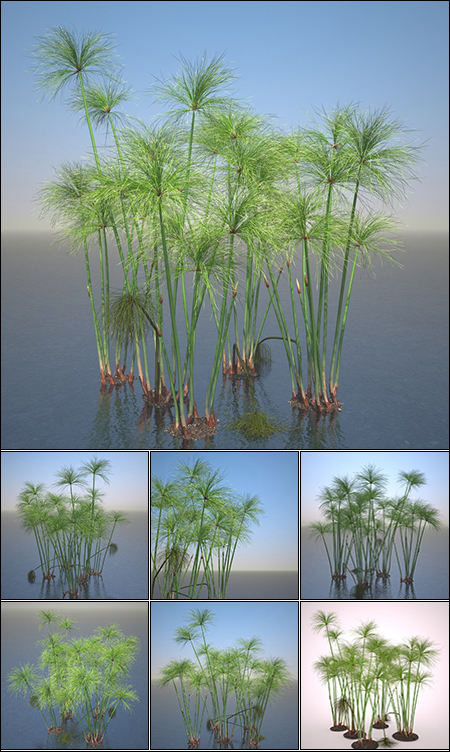 Very detailed hipoly 3d models of the five cyperus papyrus thickets. 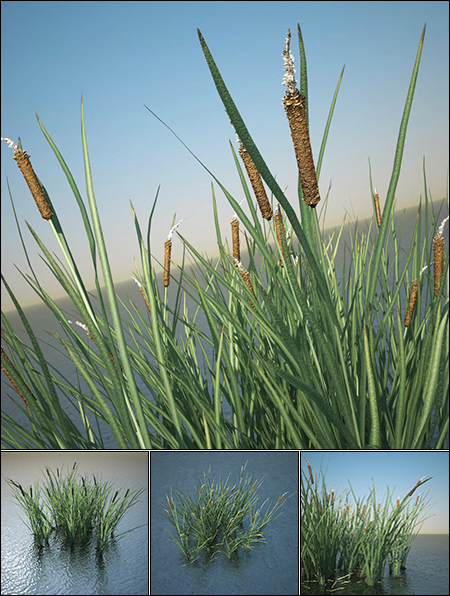 Very detailed high poly 3d model of the typha latifolia. 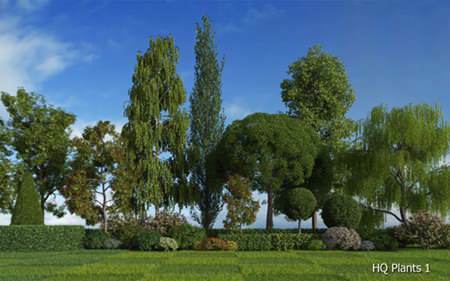 Agriculture contains 3d plant models of the top 20 cash-crop species. 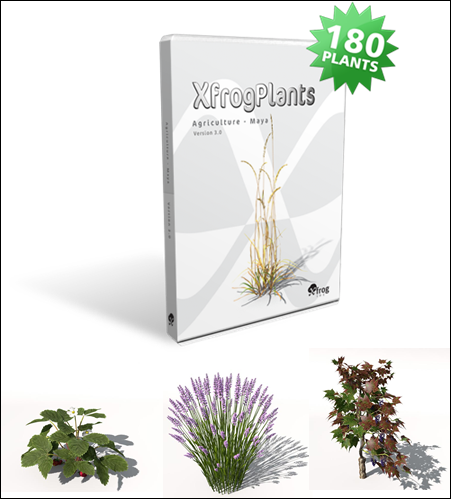 Each species of agricultural plant includes 9 variations in age and shape for a total of 180 highly detailed, fully textured 3D models. 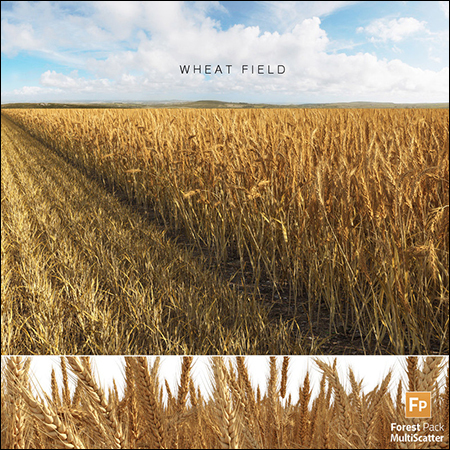 Photorealistic 3d model of a Wheat Field built up using various scatter plugins.